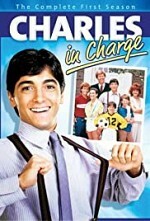 Charles in Charge > Season 2 > Episode 19 - U. F. Oh No! Watch Charles in Charge S2E19: The Powell house is turned upside down when the kids and Charles believe that they've seen UFOs. Title: U. F. Oh No!